In recent events around the world stretching from India to the Coast of California the plastic bag is on the chopping block. Countries are starting to believe that plastic bags are the cause of so much pollution around the world and are now focusing on corn or starch based plastics. The plastic technologies made from corn and starch are causing more harm than good according to UC berkley, Stanford University, Pittsburgh University and others across the globe. These so called “bioplastics” which have lobbied the recent Californians Against Waste and the State of California into believing the miracle cure for the plastic bag is corn based plastic to be composted. Corn based plastic is causing more harm to the environment than regular polyethylene bags, says the report from Pittsburgh University’s life cycle assessment. The disposal method easily accessible by the vast majority of consumers is the landfills. 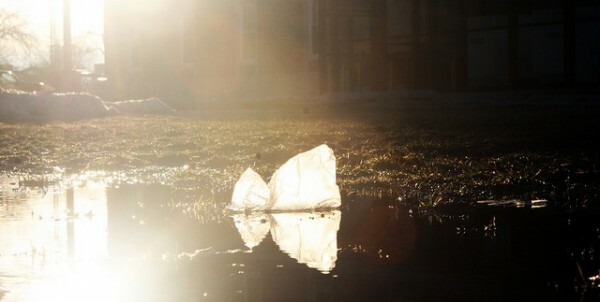 This causes confusion to the general public as to where they can throw their “compostable bags”, it is for this reason students from Stanford University did a very lengthy study on the use of corn based plastics on the campus. With great anticipation they began asking students if they knew “corn based” plastic is actually thrown into landfills more than compost facilities. Some frightening things were also found out that these compostable plastics are not even compostable, they are industrial compostable and can only be taken to the curb in San Francisco. These compost facilities can not be found be average consumers and to top it off which consumer is going to be driving their “bioplastic” products to the compost facility every week to dump their trash. This is not economical by any means. The plastic bag which was developed to carry 1000 times the weight of the products which it holds is a great technology improvement than carrying a reusable bag, which has been shown to carry viruses and other bacteria due to not washing out the bags. The truth about the thin plastic bag, it takes 500 times reusing the same bag made from polypropylene or polyethylene to offset the reusable bag. If you are washing these reusable bags, as one should the reusable bags life of 500 uses is far beyond the “shelf – life” of the product. Plastic bags carry 1000 times more weight than their weight, which in turn creates a good technology when needed. You need to use your reusable bag 500 times to have the same carbon footprint as using thin plastic bags. There are some fascinating technologies which overcome these issues, companies such as BioSphere Plastic LLC have engineered a special additive when is is loaded at 1% allows microbes to consume the plastic at a rapid rate. This technology works as the opposite as building a polymer when interacting with enzymes which are produced by microorganisms. The enzymes and the additive work to create a biocatalyst for microorganism to reduce the plastic chain. The plastic chain is reduced allowing microorganisms to rapidly consume the plastic bag.A truly revolutionary technology that answers the problems for the plastic bag.